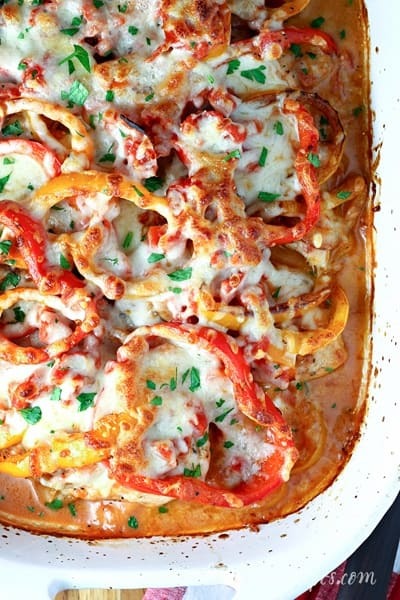 CREAMY CHICKEN PICASSO — Sauteed chicken breasts, smothered in bell peppers and a creamy sauce, then topped with melted cheese. This Creamy Chicken Picasso is hands-down the best chicken dish I’ve made in a long time, and my family wholeheartedly agrees. 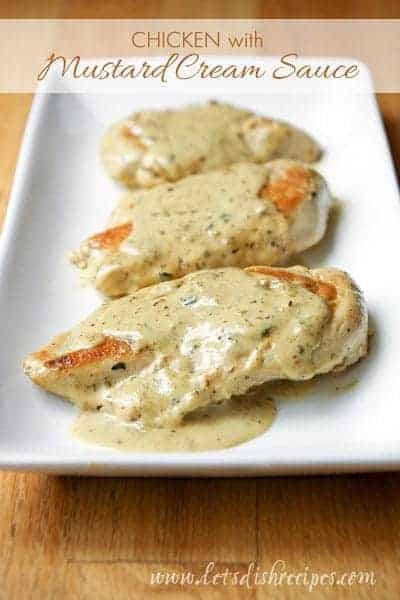 The creamy sauce is simply amazing, with such a great depth of flavor. You know it’s good if my boys kept talking about how they’d even eat it without the meat! Yes, you heard that right. My children said they would eat this even it was just bell peppers in sauce. And these are kids who rarely eat their vegetables without complaining. So you can bet I’ll be making this Creamy Chicken Picasso again! There are several steps to this recipe, but they’re not difficult, and everything gets pre-cooked in the same pan on the stove top, which makes it all so much easier. It’s also what makes everything taste so good. Because all the browned bits from the chicken and vegetables end up in your sauce. I definitely recommend serving this with a side of rice or pasta to soak up all the delicious sauce. Of course, topping it all off with some gooey, melted cheese doesn’t hurt either. I like Monterrey Jack or mozzarella, but really, almost any cheese will work well in this dish. Honestly, I think we were all ready to lick our plates when the meal was over. This one is definitely going into the regular rotation. 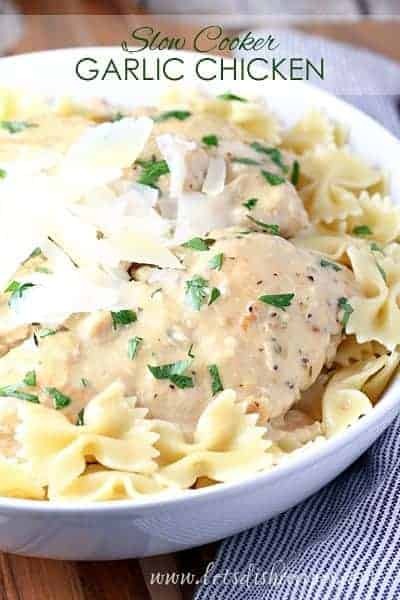 Be sure to save this Creamy Chicken Picasso recipe to your favorite Pinterest board for later. Seed the peppers and cut them into rings. Season the chicken with salt and pepper. In a large sauté pan, melt the butter over medium-high heat. Lightly brown the chicken on both sides and transfer to a lightly greased 9x13 inch baking pan. Add the onions to the sauté pan and cook until soft and brown. Arrange the onions over the chicken. Add the peppers to the sauté pan and cook until just tender. Arrange the peppers over the chicken and onions. Add the garlic to the sauté pan and cook for 1-2 minutes. Pour the diced tomatoes, chicken broth and cream into the sauté pan with the garlic; season with salt, pepper and nutmeg. Simmer the sauce for 5 minutes, stirring occasionally, until slightly thickened. Pour the sauce over the chicken and vegetables. Cover the pan with foil and bake for 20-25 minutes in the preheated oven. Remove chicken from oven, and remove the foil. 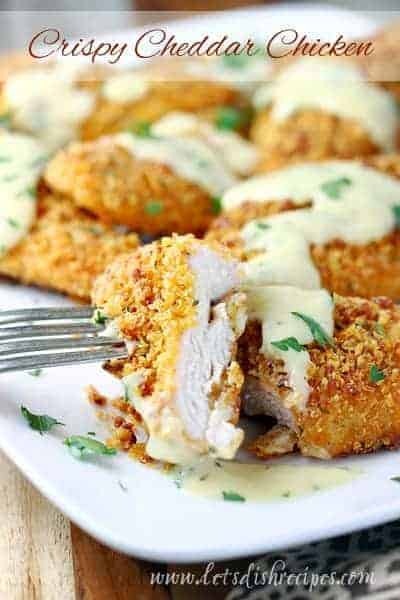 Sprinkle with cheese and return chicken to oven, uncovered, for another 10-15 minutes, until cheese is golden brown and chicken is cooked through. Serve with pasta, if desired. Who Dished It Up First: Adapted from Kayotic Kitchen. That looks and sounds SO yummy:) Thanks for the recipe! Have a blessed day dear friend, HUGS! Great looking recipe. We do love peppers–and cream is a given. This looks so good! I love anything that adds heavy cream! Thank you for sharing this recipe! It was very tasty. We served it over spaghetti. I need to learn what medium-high heat is :). My butter burned on the pan which left some bites with a burnt taste. But it didn’t ruin it! Next time I may substitue butter for olive oil in the sauteeing process and use butter to grease the pan; get a little bit of everything good. Turned out good. But I think I was suppose to drain the tomatoes. Me too. I didn’t know if I was supposed to drain the tomato juice. :/ made it soupy. I didn’t drain mine, but I’m guessing it depends on what brand you use. Some may have more liquid than others, so if you’re worried about it being soupy, I’d go ahead and drain them. This looks fabulous! Love the gorgeous pepper rings! Pinning! Oh my goodness! This looks so amazing! Pinning! This looks so delicious! Going over to pin it! This Chicken Picasso was ON POINT! Just made this tonight and it turned out great! I didn’t have a can of diced tomatoes so I used a can of Rotel tomatoes. It gave it a little kick and was amazing! Thanks for this recipe!